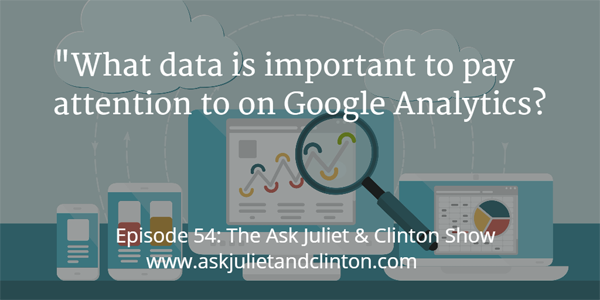 In this episode Juliet and Clinton discuss which data is the most important to track in Google Analytics, what types of online products are best for therapists and wellness businesses to create, and how many email subscribers one needs to sell an ebook. Episode 053: Is it worth marketing on Facebook? 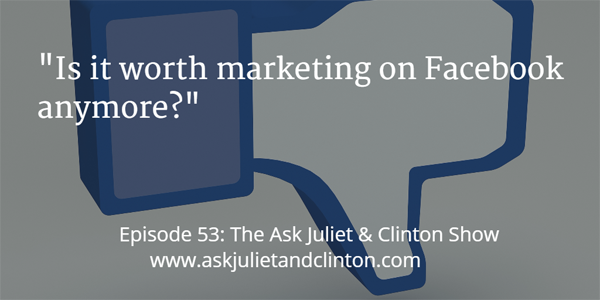 In this episode, Juliet and Clinton discuss whether it is worth marketing on Facebook, whether an online course or an ebook can get more sales, and how to make videos for an online course private. 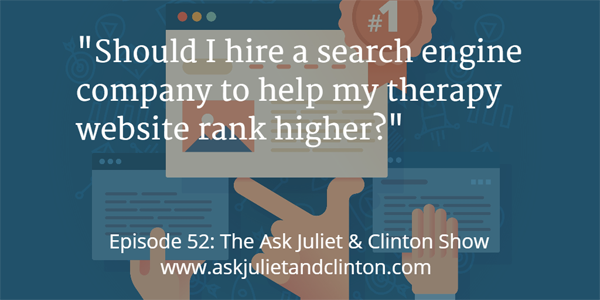 Episode 052: Should I hire a search engine company to help my therapy website rank higher? 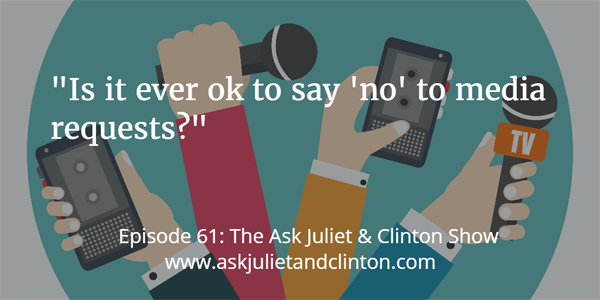 In this episode Juliet and Clinton discuss whether therapists should hire search engine companies to help their therapy websites rank higher, whether therapists can benefit from using Periscope, and whether one can have both a general website and a niche focused website. 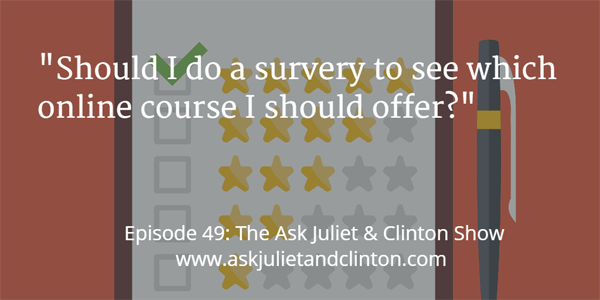 In this episode, Juliet and Clinton address the following questions: how to set up a survey to find out which online course might get the most sales, how to market a naturopath business after taking a break, and if one should give up marketing on Facebook. Episode 048: What tools do I need to sell an online course? 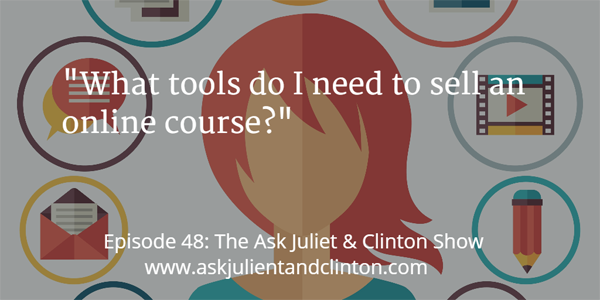 In this episode, Juliet and Clinton discuss the tools needed when starting an online course, how narrow one’s therapy niche should be, and define the term, “content curation”. 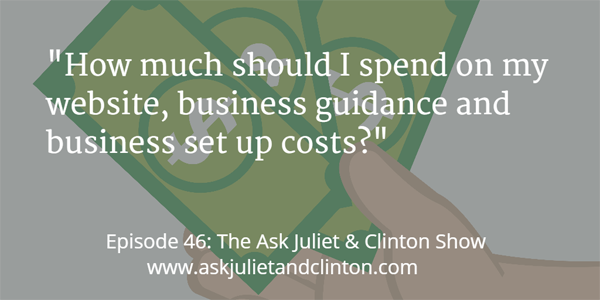 Episode 046: How much should I spend on my website, business guidance and, business set up costs? 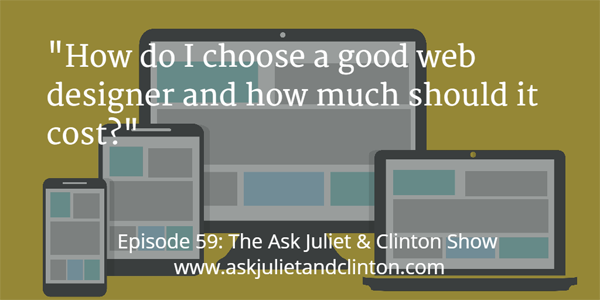 In this episode, Juliet and Clinton discuss how much one should spend on business set up costs, what kind of photos one should use on a website, and how long it is ethical to keep a potential client on a wait list. Episode 045: Should I put fees on my website for a hypnotherapy practice? 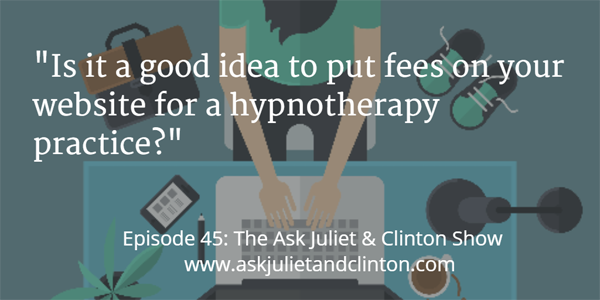 In episode 45, Juliet and Clinton discuss whether you should put fees on our website for a hypnotherapy practice, what to talk about on Periscope, and how to prevent your therapy website from getting hacked. 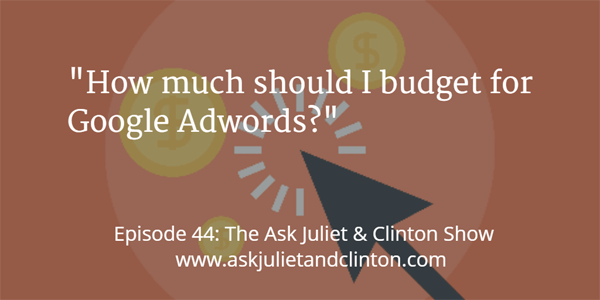 In episode 44, Juliet and Clinton discuss how much one should budget for Google Adwords, how to get people to sign up for a group, and how to start an online store when you have had a retail store selling natural supplements.